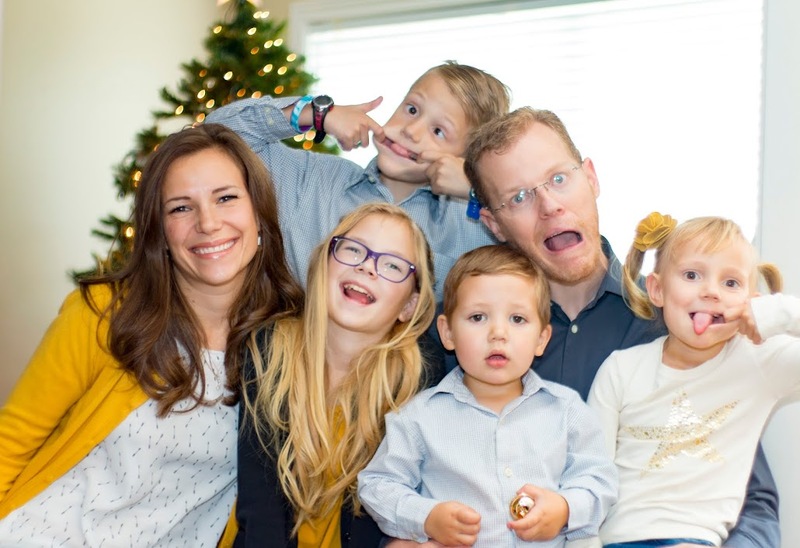 Since moving into our home, we have done many things to renovate it and improve upon it. A neglected area of the house has been the downstairs apartment. Little by little we have reclaimed that space. First we converted the bedroom into a theater room. Then we updated the kitchen, and this week we decided to tackle the bathroom. I didn't want to spend a fortune in a bathroom that doesn't ever get used. In fact, we kept it locked for a long time so that we didn't have to maintain it and no one ever missed it. I decided to use a farmhouse theme for the small space. 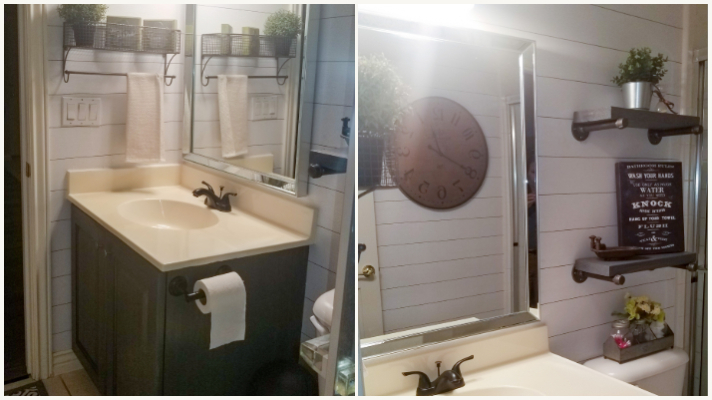 We applied white shiplap wallpaper, stained the cabinet gray and updated the mirror and faucet. It took me a while to come up with a look that blended all of the various existing colors and elements. The tile in the floor has a pink hue, the counter top is cream and the tile in the shower are is white. All in all, I was please with the way it turned out.